Artist ‘Bosslogic’ Recreates Famous Celebrities As Your Favorite Dragon Ball Characters! Hey guys! How’s it going on? I was browsing reddit and saw that there’s this amazing artist who is recreating some of the famous celebrities as our favorite Dragon Ball characters. The artist goes by the name bosslogic on both twitter and instagram and is a very famous and loved artist in the community. Bosslogic started experimenting with some Dragon Ball characters and one thing led to another. His creations are really amazing. He has done some Dragon Ball recreations like Dr. Gero and Android 19 in the past but recently he’s on a spree with Dragon Ball Super. He has released so many in the past few weeks that everyone is just talking about his creations. Some are really funny and some really intense! I personally like his Androids series including Cell too. Well, enough talk about this and let’s see that amazing artwork by our eyes now. Be prepared! 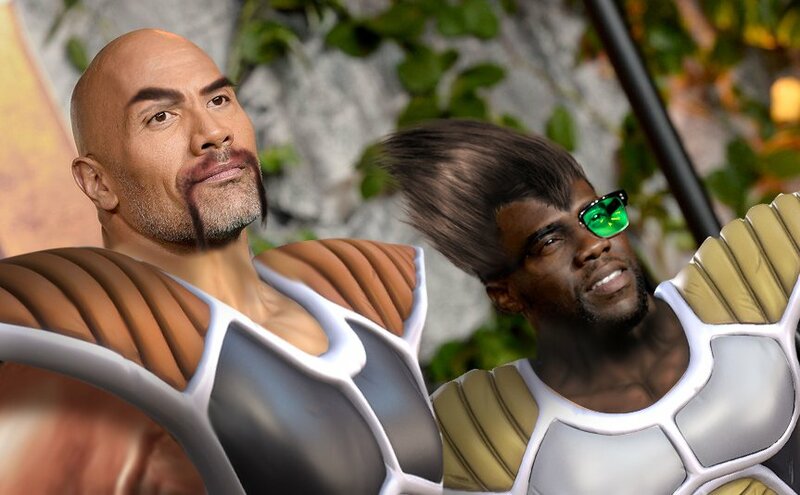 The artist @Bosslogic shared an interpretation of Dwayne Johnson as Nappa, and Kevin Hart as Vegeta, and the results are really amazing. The communities on reddit, twitter and facebook really blew up after this image was uploaded and shared by thousands of people. I think ‘Rock’ is really rocking that Nappa style makeover. Well, about Vegeta… I really don’t know what to say, it’s just cracking me up so hard. I can’t stop laughing! 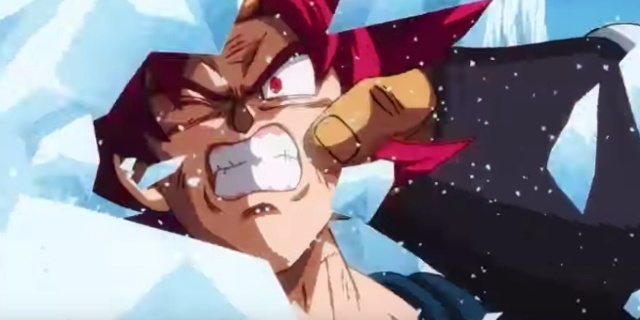 Raditz Is Finally Returning Back In Dragon Ball Super: Broly! Next story Boruto Anime Schedule For November – December 2018!